I have over ten years of experience working with students of all ages and grade levels. I work with students with a wide range of difficulties and learning disabilities. I'm also proud to say that most of my students find me through simple "word-of-mouth". Short-Term: First, we'll focus on the immediate needs of the student - current material/topics, homework, study habits, upcoming exams, etc. The first priority is to improve grades. 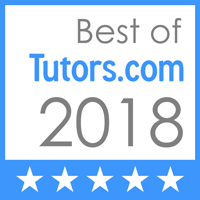 Middle-Term: After a few sessions, I'll be able to determine what specific aspects are giving the student the most trouble (relating concepts/real-life applications to equations, recalling information learned in previous years, test anxiety, etc.). As I learn more about the student's strengths and weaknesses, I'll be able to determine which techniques are most effective for them specifically. The goal here is to guide the student and improve their overall learning and studying habits. Long-Term: As we continue to recognize and adjust studying and mental habits, I then focus on teaching the student how they can identify which specific issues they're having, why they're having them, and how they can train themselves to overcome them on their own. My ultimate goal is to help the student learn how to teach themselves. I've taught the Common Core since it was implemented, and I know first-hand how many students have struggled to adjust. The most effective way for me to help was to research and fully understand the NYC Common Core Learning Standards, as well as the PARCC Model Content Frameworks for Mathematics. With permission from parents, of course, I frequently communicate with teachers. I'm able to have a detailed understanding of the students' limitations, which allows me to collaborate with lesson plans and help prepare the student for upcoming topics. I'm always up-to-date on New York state and local school district news. My job is not to help students with homework - it's to identify and strengthen weaknesses, so they eventually don't need help with their homework. For every hour that I meet with a student, I do about 30 minutes of planning. Starting the first time we meet, I carefully take note of issues that may be hindering their success, and incorporate them into detailed lesson plans. While I do believe in structure and regular lessons - things happen. So I try my best to be as flexible as possible with my availability. I've been tutoring for this long because it's a passion of mine, so my priority is being able to help, no matter the time or day. Surprise quiz tomorrow and there's one question you don't quite understand? I'd be happy to make a phone call and explain, or even text a link to good resource that can help.